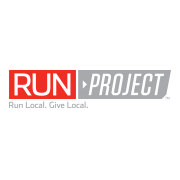 Run Project is about bringing people together who love to compete, participate, and volunteer. Since their first race in 1994, millions of racers have crossed their finish lines and they have raised millions of dollars for their beneficiaries. Run Project was promoting race events by word-of-mouth, social media, and organic reach. As the desire rose to increase their race attendees, it was obvious that paid social, and specifically a strong Facebook and Instagram presence, would be critical to long-term success and growth for the brand. The goal, increase event ticket purchases. During the management of the social media marketing campaigns, we also implemented strategies to grow their social media following, increase their ranking in the search results on social media and implement highly specific targeting campaigns to increase purchases. Run Project trusted Chappell Capital to find and generate positive ROAS (Return On Ad Spend) with new customer acquisition methods including exploring niche audiences and markets, testing different ad mediums, and retargeting non-converters to increase purchases for their race events.